It's a full house at the roundtable this week! Hannah from 8-Bit Bakeshop joins Trish, Rich, and Cheezeburger as they get ready to watch their buddy Pete eat the hottest pepper ever spat out of the Earth and scorch the innards of anyone stupid enough to ingest it: The Carolina Reaper! 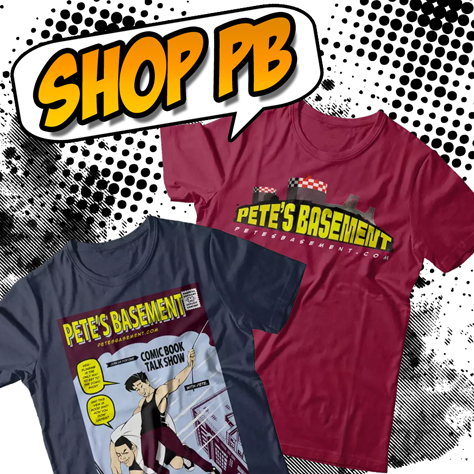 Yup - Pete's at it again with one of his crazy stunts! Even Ramon swings by to watch the insanity! And this episode needs all the help it can get, cause this week's comics left the Basement Crew with much to be desired. Even the best the week had to offer was only the best because all the others were kind of the worst. Seriously. Well, maybe we can find a coupe books worth your time from this week's menagerie. Hit the play button so you know what books to steer clear of, and then watch Pete suffer as he eats the wold's hottest pepper! 01:00:03 - Eating The Carolina Reaper!